Yeah, there’s a new dynamic: ranchers, hunters and government agents can kill wolves like they haven’t in a century. Michael Robinson of the Center for Biological Diversity points out that delisting wolves means that the USDA’s Wildlife Services unit, which kills wildlife for farmers and ranchers at taxpayer expense, will now be able to kill even more wolves for even more reasons. Like to promote elk hunting. Even though biologists say the wolves aren’t really hurting the elk. Only about 1,100 wolves survive out west, but Wildlife Services kills an amazing number: 452 in FY2010 and 481 in FY2009. Wolves didn’t get kicked off the list (this time) by a bizarre political deal until April. 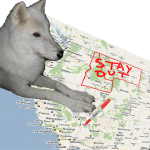 In Idaho 169 wolves have been killed so far this year: 122 for hunters, 42 for cows and 5 for elk. Montana has already killed 136, more than half by hunting. About 850 species are waiting for endangered species protection, including 264 biologists say need it. At this rate we won’t help them all till at least 2044. Did Obama cave on political riders in the budget compromise? Idaho Rep. Mike Simpson de-listed wolves in Idaho and Montana in a closed-door deal. NOAA almost protects orcas in Puget Sound. 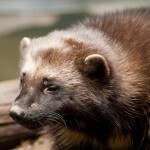 PA to declare open season on porcupines.